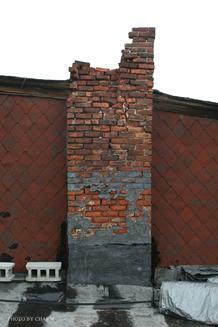 A Chimney Blockage or obstruction can be caused by any number of sources, creosote build-up, ash build-up, broken, spalling or shifting clay liners, foliage (leaves) from trees, incorrect use of the flue as a chase by a plumber or electrician, a satellite or television antenna attached to chimney, trash/garbage, loose bricks, nesting or trapped animals, crumbling, collapsed or deteriorating chimney flues, improperly sized flue liners, etc. 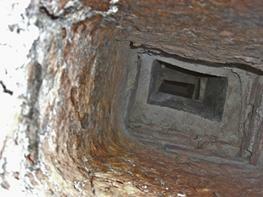 No matter what your blockage issue may be we can restore your chimney flue to full use. We can correct any violations that you may have incurred. If a utility company or government agency has ‘shut off’ your heating equipment or declared your chimney unsafe or unusable. We are qualified to cleanly and safely repair the damage or remove the blockage with time tested methods and our professional guarantee of our work and services.